“Viva la pappa, pappa/col pomo-pomo-pomo-pomodoro!” sing an old Italian song of the musical transposed from the boy’s novel “Il Giornalino di Giamburrasca” published on 1907. 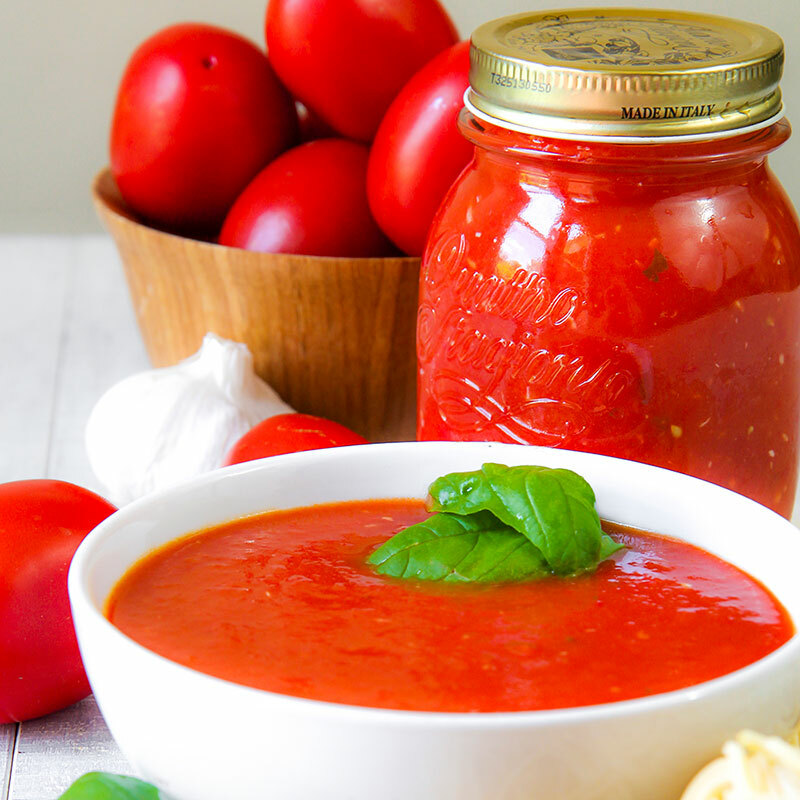 In all probability, The story of this recipe date back to the last half of the 19th Century, when in Italy tomatoes become an ingredient for sauces and other cooked dishes, as well raw. 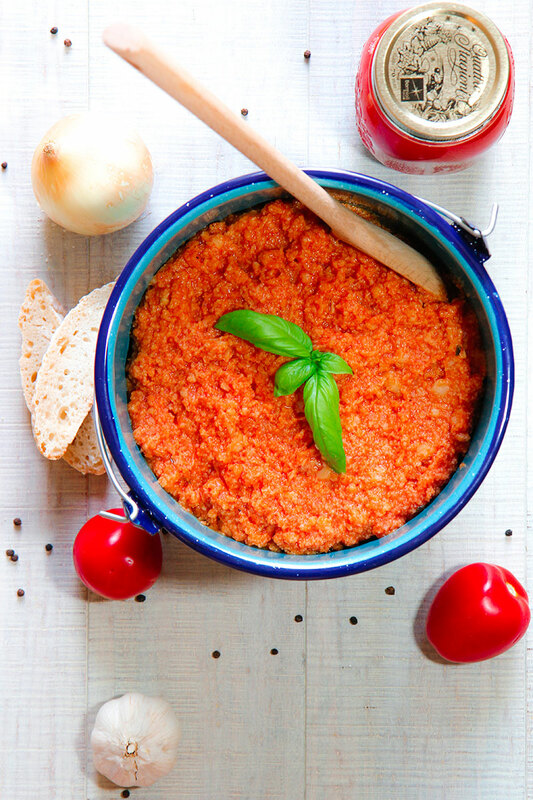 Pappa al Pomodoro is a simple, tasty and traditional recipe. It comes from the age when to waste any single piece of bread, even if stale, was a kind of blasphemy. Stale bread soups are typical of the traditional cuisine of all parts of Italy. For instance, In Trentino, the most famous recipe with stale bread is Canederli, soaked gnocchi with speck cheese and melted butter. 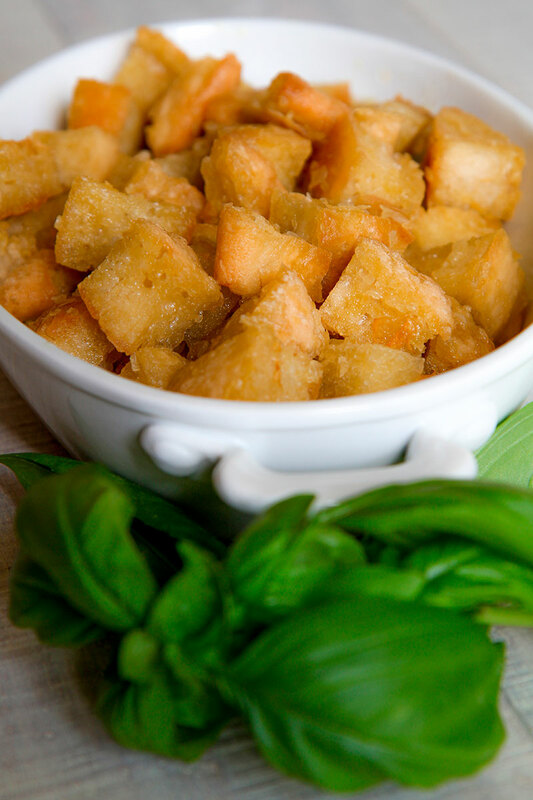 In Emilia is popular Panà, creamy soup with Ferrarese bread, eggs, and Grana Padano cheese. Another example is the Southern Pasta Amollicata, where the sauce is enriched with bread crumbles previously deep fried into the extra virgin olive oil. Coming back in Tuscany, besides Pappa al Pomodoro, we find Ribollita, a vegetable soup made with black kale, and Panzanella, a tasty salad very popular in Lazio as well. 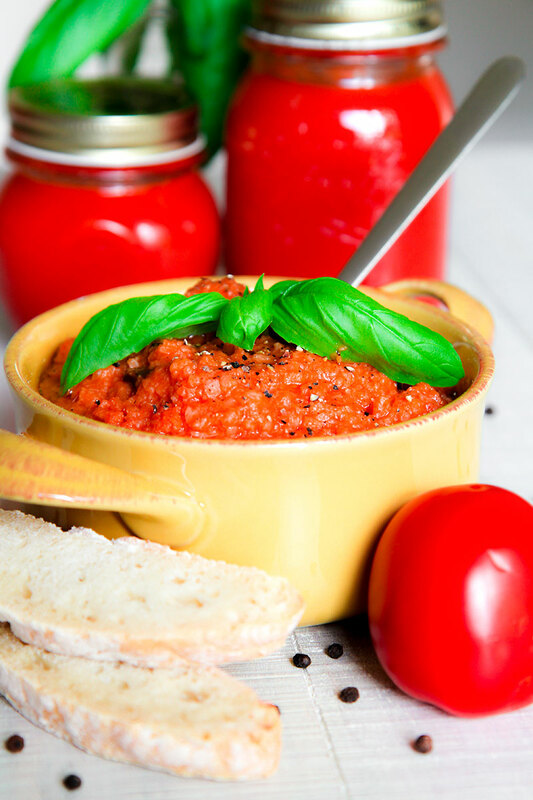 The popularity of Pappa al pomodoro has inspired many famous Italian chef, that has elaborated their personal version of this recipe without leaving the track of the tradition. Soffritto, a mixture of onion, celery and carrots previously minced and sauteed, is admitted. The bread can be stir fried or not, and it can be soaked into the water or vegetable stock. Personally, I prefer add onions to add sweetness and compensate the natural acidity of the tomatoes. I love lightly stir fry the bread into the oil and avoid stock to not modify the taste of the sauce. Like all the recipes with a small quantity ingredients, their quality must be prime! 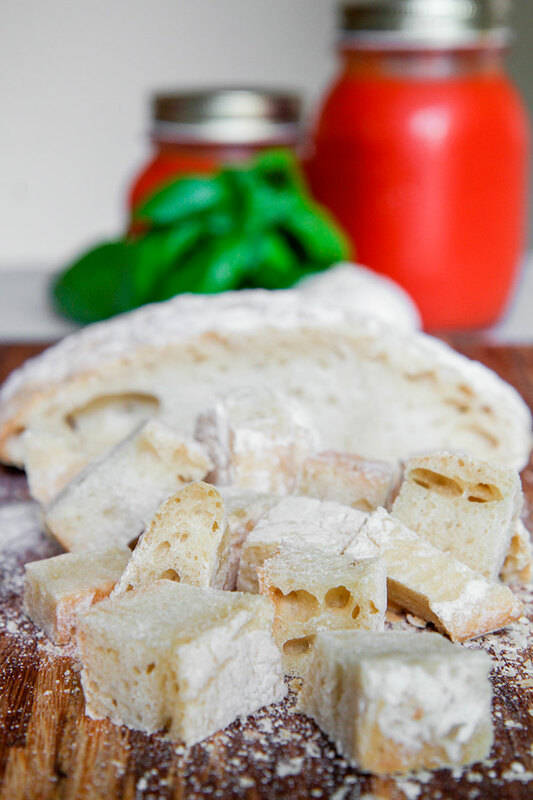 The traditional Pappa al Pomodoro requires Tuscan bread. Unsalted bread would be the best choice, but is tough to find outside Tuscany! The tomatoes sauce is critical as well. It needs very ripe tomatoes. In Florence, the tomatoes used to make the sauce are called Pisanelli or Costoluti, but Roma tomatoes are a good substitution. Best basil to use is Genovese or sweet basil; standard basil tastes too much of mint. Last but not the least, the olive oil. It must be extra virgin and strictly Tuscan, its taste especially the last drop poured raw before serving, move up a gear in your plates! A final note about the pot. Traditionally Pappa al Pomodoro is cooked into a clay pot, but a thick-bottomed heavy pot, or an enameled dutch over are a good option as well. 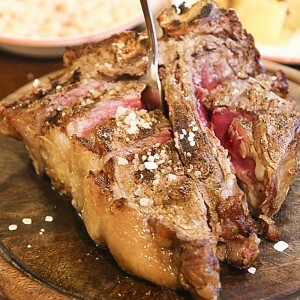 It can seem a kind of breeze, but never joke with Italian and his traditional cuisine! LOL.Avoiding any excess of conservative extremism, here 5 things that Tuscan people can’t tolerate about the preparation of the Pappa al Pomodoro. 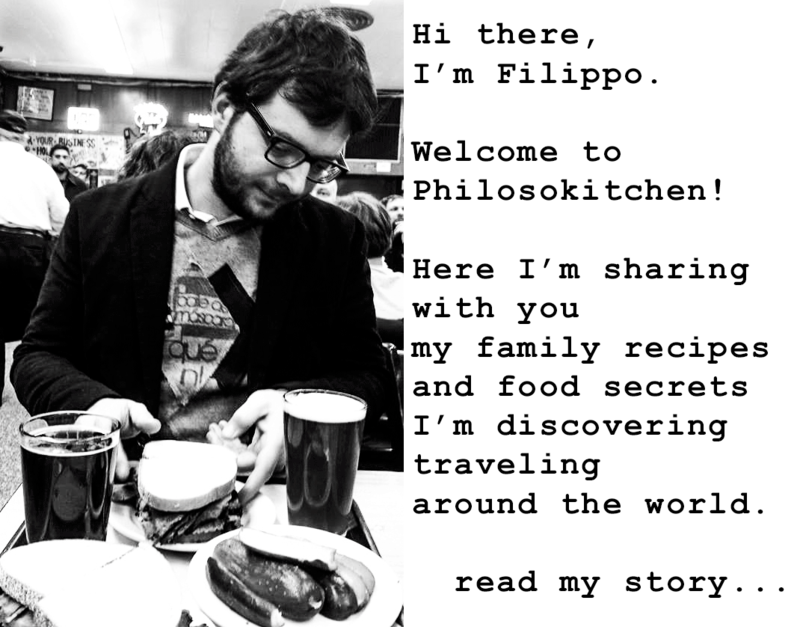 AND NOW THE RECIPE OF PAPPA AL POMODORO! Dice coarsely Tuscan bread. Peel and crush the garlic, then peel and slice finely the onion. Now, pour onion and garlic in a thick-bottomed heavy pot along with 8 tbsp of extra virgin olive oil. Saute the vegetables over low/medium heat until onion is incredibly soft and translucent. Finally, add the diced bread and stir fry until starts to become golden. When the bread starts to become golden, remove the pot from the stove and pour warm water just enough to cover the bread. Soak the bread 30 minutes, then add basil leaves and the tomato puree (or my easy tomatoes sauce, here the recipe). Place the pot over low heat again and let it gently simmering, stirring and mashing until the tomato soup is barely creamy and consistent. When the Pappa al Pomodoro Is ready, let it rest until warm. Serve the soup at room temperature or lightly hot and completing with a dash of black pepper and a splash of olive oil.